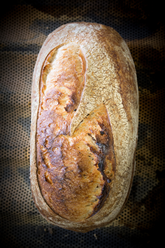 We are all about the flavour the colour the texture and the smell... oh and the feel. 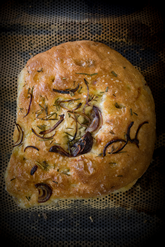 Not to forget the ingredients! 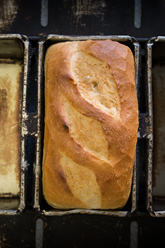 We bake a staple range, as well as seasonal, speciality, and sweet - all baked from a unit in Stonehouse, Gloucestershire. 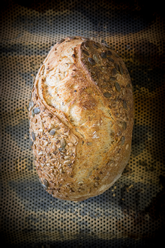 It started with our sandwich shop “The Sandwich Box Cheltenham”, too small to make the minimum delivery of a local baker, to the quest to produce high quality locally sourced ingredients for our own artisan bread. 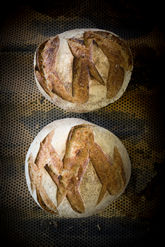 Having honed skills in the labyrinth of the Georgian terrace, with the challenges that brings, we managed to produced bread that has taken awards at the Tiptree World Bread awards and many other awards using the bread for sandwiches. More recently Baker of the Year 2016 at the BIA Industry awards. 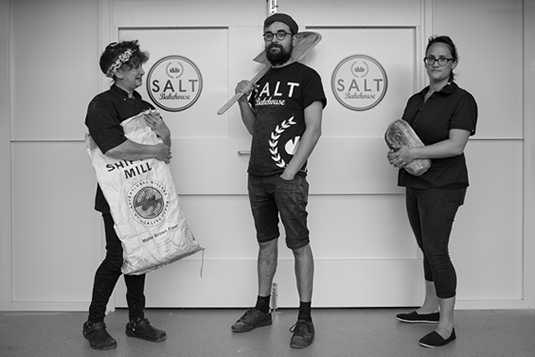 SALT Bakehouse Bread in Cheltenham is at the Sandwich Box from Tuesday selling our popular loaves, to Friday when we have a wider range of speciality & seasonally foraged bread. 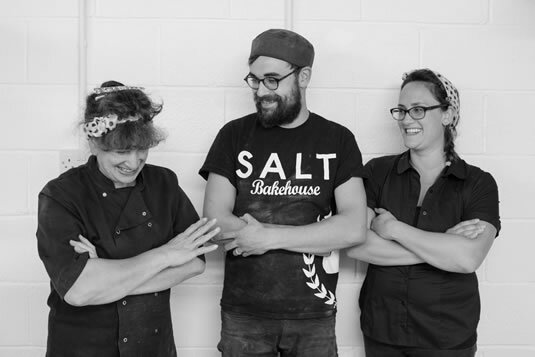 A unique small but perfectly formed artisan bakery business, run by Mum Annette, Son Dominic and Daughter Anneliese providing quality baked stuff, locally sourced /foraged for local people. In memory of Husband Rod, Dad who is still a guiding force.